Bryce Harper has had a good first week: record ticket sales, record jersey sales, and a knack for saying all the right things. Somehow, though, his stock in Philadelphia might’ve reached an even higher high on Tuesday. "If I didn’t want to be in Philly, I wouldn’t have come to Philly. … I remember hugging her and saying, ‘We’re going to Philly!’ I was pumped." He basically hit every note with that one. The neighborhood quote is a surprisingly insightful, and correct, take on Philly from someone who’s never lived here. Harper must have the right people in his ear. Score two for the Internet. 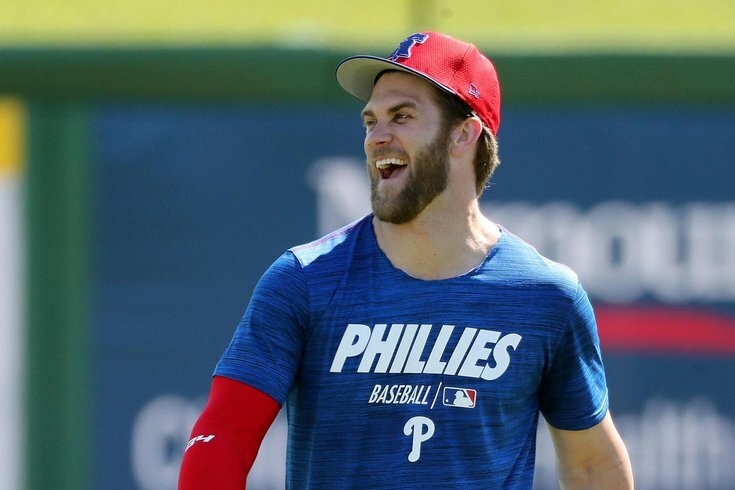 Now, will Harper get burned for tampering with another team’s star player? He can certainly afford it, but we took a quick peek into the MLB rulebook to try and find out. It doesn’t sound to us like Harper’s broken any rules yet, so: keep it up, Bryce.